Catalytic Granular Activated Carbon Coconut Shell Media GAC 1 cu.ft. 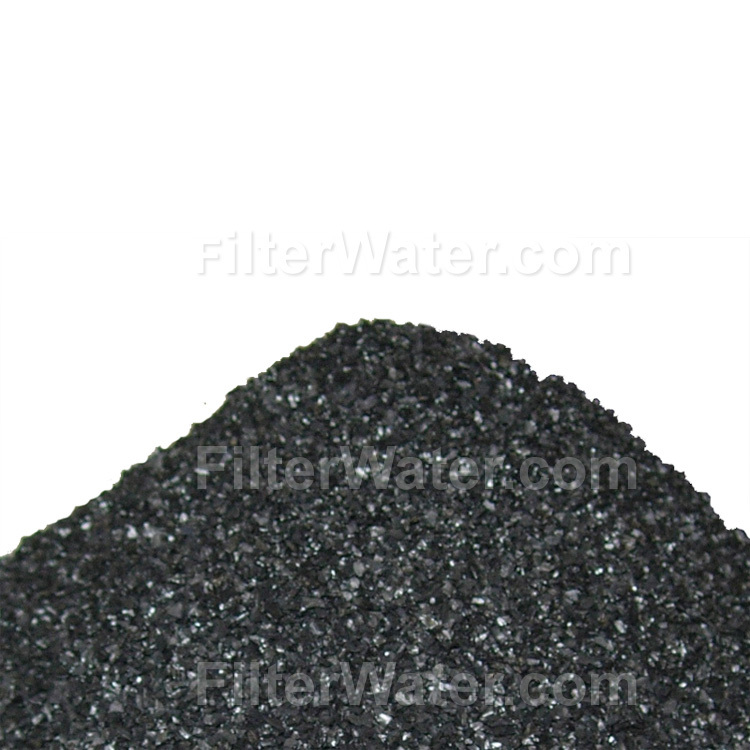 Coconut Shell Catalytic Granular Activated Carbon ( GAC ) is a 12x40 mesh, premium carbon for residential or commercial drinking water treatment applications that along with Chlorine , Bad Taste and Odor will removes Chloramines. 1 cu.ft. of Catalytic Coconut Shell Carbon will outperform standard GAC and other charcoal filtering media in removing chlorine and Volatile Organic Compounds ( VOCs ). Catalytic Carbon is an excellent filtration media for chloramines, having high density with a balanced pore structure for efficient absorption. Manufactured by steam activation of coconut shell charcoal. Catalytic activity makes it highly receptive to chloramines and hydrogen sulfide from potable water. Well suited for removal of low molecular weight organic compounds and their by-products of water chlorination, such as chloroform and trihalomethanes (TTHMs). Over 20% of municipalities in the United States use chloramines for water disinfection, and not free chlorine - especially in southern states such as California and Florida. Chloramines, or combined chlorine, are derivatives of ammonia. Regular activated carbon isn't as good at removing them as Catalytic carbon. Media will also stand up well for backwashing.